Ultrabooks « Tech bytes for tea? tech4xmas 2017 gift recommendation: One of few gadgets that totally blew me away and convinces me it is worth its high-end price tag. The road warrior would love to have this as his/her Christmas present. I know I would be absolutely elated! Notebooks are such a commodity nowadays that you can get a pretty decent one that meets your needs at an affordable price. The pricier ones are usually the flagship models of each manufacturer that, in my personal opinion, offer only marginal additional benefits for a huge surcharge. The LG Red Fair is now ongoing until 15 February, 2018, offering promotional deals on LG solutions – for home entertainment systems, home appliances, mobile devices, and IT devices. The 14-inch gram 14 is selling at a discounted S$2,099 (Intel i7 CPU) & S$1,899 (Intel i5 CPU). Both ship with 512GB SSD & 8GB RAM. Also available is the 15.6-inch, 8GB RAM gram 15, selling at S$2,499 (8th Gen Intel i7 CPU, 512GB SSD) & S$2,099 (Intel i5 CPU, 256GB SSD). Purchases of any LG gram 15 or gram 14 comes with free gifts worth up to S$347! The 13.3-inch, 8GB RAM, 256GB SSD gram 13 is also available at S$1,899 (Intel i7 CPU) & S$1,799 (Intel i5 CPU). All LG gram laptops come with 1-year pick-up warranty. And usually much of these additional features are in the department of styling and design that, as a pragmatic user, I don’t really care. 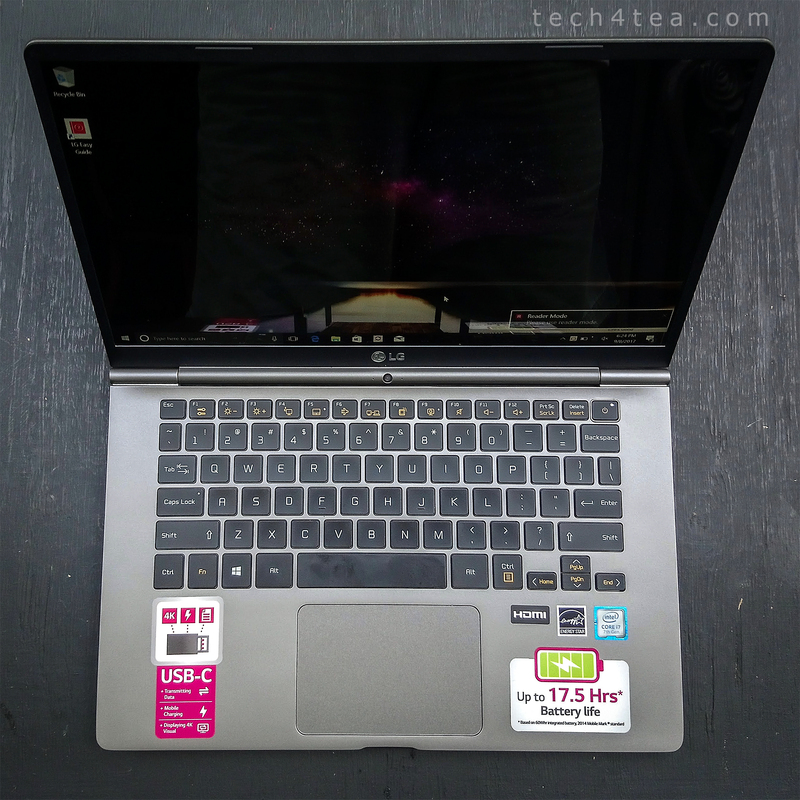 So when I tried out the 14-inch LG gram 14 (14Z970), I was pleasantly surprised to find myself planning it as my next purchase – despite its relatively high price tag. Specs wise, it’s no doubt high end – gram is the only notebook series that LG sells in Singapore. But what impressed me was how it really stood out in the areas that matters to me – and I mean really stand out! Firstly, the light weight at 970g. I believe it’s the lightest notebook I’ve ever used, with its enhanced durability Magnesium alloy body. It’s so light I took a double take when I first handled it – wondering if it was a plastic mockup, even though I knew full well it was a real functioning notebook. Dell announced its new line of VR-ready Alienware notebooks – the Alienware 15 and 17 – that boast the NVIDIA GeForce GTX 10-Series family of GPUs, enabling up to 85% better performance than the previous generation of Alienware notebooks. The new Alienware notebooks are capable of powering VR out-of-the-box, and compatible with both Oculus and HTC Vive headsets. Engineered for gamers, the Alienware 17 gains more power with overclocked Intel Core i7 k-series processors and Tobii eye-tracking technology to optimise immersive gameplay. Dell also announced in Singapore (at Millian, St James Power Station) the new XPS and Inspiron laptops, Inspiron 2-in-1, and XPS Tower for personal and work computing. The Alienware 15 comes complete with the VR-ready NVIDIA GeForce GTX 1060 and NVIDIA G-Sync for incredibly smooth, synchronized frame rates. Prices and availability are tabulated below. ASUS unveiled its 3rd Generation mobile computing products at its Zenvolution launch event in Singapore. Prices & availability below. Clockwise from upper left: ASUS Transformer 3 Pro, ZenWatch 3, ZenBook 3, ZenPad 3. Not shown to scale. The ZenBook 3 is an ultra light 910g Ultrabook with an ultra-thin 11.9mm profile made from premium aerospace-grade all-aluminum unibody construction with the latest high-performance 7th generation Intel® Core™ i7 processors, 16GB RAM, up to 512GB PCIE SSD and an innovative cooling system. ASUS claims that the Transformer 3 Pro is the world’s first and only 2-in-1 detachable notebook with 7th generation Intel® Core™i5/i7 processors that can function as a competent tablet, laptop, music station or even a high performance gaming PC with an optional ROG XG Station 2 that acts as an external discrete graphics card. The ZenWatch 3 is a stylish and customisable wearable device powered by Android Wear with HyperCharge technology. Head on down to the ASUS Zenvolution Roadshow from 14 to 16 October 2016 to experience the “3” series products at the different experiential zones and stand to win attractive prizes worth up to $5,000. In addition, cash vouchers will be given away for the purchase of Transformer 3 Pro and ZenBook 3 products during the roadshow. The ZenPad 3 has a thickness of only 7.57mm and goes for a classy look with its luxurious leather rear panel with 2K high-resolution touchscreen and Qualcomm® hexa-core processor. More details (including technical specifications) from the press release below. The computing solutions are optimised for the future workforce and include new Latitude & Vostro notebooks, Precision workstations, OptiPlex desktops & AiOs, UltraSharp monitors, as well as Dell Document Hub application and multifunction printers. Prices and availability here. Dell OptiPlex 7040 Small Form Factor desktop, a Dell UltraSharp U2715H monitor, and KM636 keyboard and mouse. Dell says that the company has combined the latest hardware technologies including Intel Core and Xeon processors for superior performance, with Windows 10 software for a more intuitive user experience. Dell U2417HWI Monitor – side views of screen tilting. The new Latitude series combines beautiful design with business-class security, manageability and reliability, while the Vostro portfolio balances performance with style for small businesses. The redesigned Precision Workstations combine innovation with high-performance to deliver sleek, new portfolio for creative professionals. The new Dell displays promise stunning picture and greater productivity. A new Dell printing solution offer one-stop access to multiple cloud-based services for easy sharing, collaboration and printing. ASUS has unveiled in Singapore a slew of new Zen-inspired products – ZenWatch 2 smartwatch, Zen AiO Pro all-in-one desktop, ZenPad Audio Cover for ZenPad 8 tablet, and UX305 Ultrabook. Prices & availability below. ASUS ZenWatch 2 (S$229) will be in Singapore from 14 November 2015. ASUS Singapore unveiled the following products at today’s launch event at The St. Regis Singapore hotel. ZenWatch 2 smartwatch: S$229 – 14 Nov, 2015. Zen AiO Pro series of all-in-one desktops: See below for prices. ZenBook UX305 Ultrabook: S$1,298 – Nov, 2015. ZenPad 8 Audio Cover: S$129 – 14 Nov, 2015. The ZenWatch 2 is ASUS’ latest wearable and is the company’s first smartwatch to be introduced in Singapore. Sparrow, the larger 1.63-inch gunmetal housing and navy blue leather strap. Wren, the 1.43-inch silver housing and khaki leather strap. HP has launched its 2015 line-up of notebooks and tablets for businesses and enterprises. The wide range of computing devices will be available from end February till May 2015. Detailed pricing and availability below. HP’s new line-up of notebooks and tablets for 2015 offer a wide range of mobility solutions for businesses and enterprises. Left: HP EliteBook Folio 1020 G1 Speical Edition. Right: HP ElitePad 1000 G2 Rugged Tablet. Amongst the new devices is the EliteBook Folio 1020 family – which HP touts as the industry’s thinnest and lightest business-class notebooks. “The HP EliteBook 1020 represents game-changing innovation in both materials and mechanical engineering to create the world’s thinnest and lightest business notebooks in a form factor that enables our customers to be more productive in more places,” said Serena Yong, general manager, Printing and Personal Systems, HP Singapore and Malaysia. 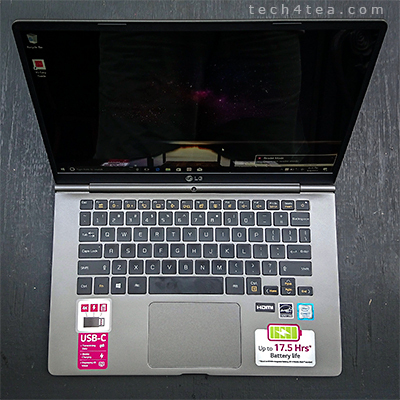 The HP EliteBook 1020 and the HP EliteBook 1020 Special Edition (SE) are ultra-thin at 15.7 mm, and the SE takes advantage of HP’s exclusive blend of magnesium-lithium alloy and reusable carbon fiber to achieve a weight of only 1 kg (2.2 lbs). Price and availability of the new line-up of tablets/notebooks is tabulated below. The HP EliteBook 1020 and the ultra-lightweight HP EliteBook 1020 SE are designed with enterprise mobility in mind, with up to 9 hours of battery life to power a full work day. Price and availability of the new line-up of tablets/notebooks are tabulated below. In its main product launch for 2014 in Singapore, ASUS launched a slew of 12 new business, consumer and gaming products – including the Transformer Book T300 Chi, ROG G751 and ZenWatch. The three hero products for today: ASUS Transformer Book T300Chi, ROG G751 and ZenWatch. Many of the devices were first unveiled during IFA 2014 in early September, the highlight of which was the ZenWatch – the company’s first wearable device. It will be available in Singapore for S$299 from end of 2014. Another significant milestone is the unveiling of devices incorporating the latest Intel Core M processor, also unveiled during IFA 2014 – the Transformer Book T300 Chi is one of the earliest off the block to ship with the new chip. The new Core M, which enables razor-thin, energy-efficient, fanless designs for 2-in-1 devices must have played a large part in making the Transformer Book T300 Chi the world’s slimmest 12.5-inch detachable 2-in-1 tablet. Dell’s new portfolio promises more productivity in smaller and thinner devices. These include the OptiPlex Micro PCs (fr S$419 – now), Latitude 3000 Series (fr S$779 – now) ,Latitude 5000 Series (fr S$1,119 – Sep 26), Latitude 13 7000 Series 2-in-1 (fr S$1,719 – Oct), Latitude 14 Rugged laptop, and Dell UltraSharp 27 Ultra HD 5K monitor (Q4, 2014). Dell Latitude family featuring Dell Latitude 13 7000 Series – 13-inch 2-in-1 notebook computer in the center with tablet disconnected from keyboard attachment; Dell Latitude 14 3000 Series (left) – non-touch 14-inch notebook computer; and Dell Latitude 14 5000 Series (right) non-touch notebook computer. Dell offers encryption, authentication and malware prevention from a single source via its Dell Data Protection portfolio. Dell OptiPlex 9020 Micro desktop PC. Dell has buillt management capabilities into its Latitude and OptiPlex portfolio to help users maximise their hardware investment and the all-new Dell Client Command Suite offers free automation tools to help significantly reduce time spent on deploying, monitoring and updating systems. To help ensure outstanding reliability, each Latitude and OptiPlex system undergoes rigorous accelerated life cycle and torture tests for extreme heat, hinge endurance and twists. ASUS has announced at IFA 2014 its first wearable device, the ZenWatch; the 13.3-inch Zenbook UX305 Ultrabook; the 11-inch EeeBook X205 compact laptop; and the 7-inch MeMO Pad 7 Android tablet. The ASUS Ultrabook ZenBook UX305 is now available in a new Obsidian Stone colour. The Ultrabook ZenBook UX305 is now available in Singapore. Powered by Intel Core M processor with 4GB RAM and 128GB SSD, the super-slim Ultrabook retails from S$999 at all ASUS authorised retailers and ASUS brand stores. The ZenWatch and the MeMO Pad 7 were among the gadgets announced by ASUS at IFA 2014 in Berlin, Germany. ASUS unveiled the slew of new devices at a pre-IFA 2014 event in Berlin, Germany. The ASUS ZenWatch is the first wearable device from ASUS, powered by Android Wear and featuring a version of the ASUS ZenUI user interface developed specifically for ZenWatch. The ZenWatch pairs with a smartphone running Android™ 4.3 or higher to provide information and to serve as a personal wellness manager in conjunction with the ASUS ZenUI Wellness app. The ZenWatch sports a 2.5D curved and comes with a selection of instantly-changeable software watch faces, allowing users to customize ZenWatch easily to match their style. Smart features of the ZenWatch uncludes Watch Unlock, Tap Tap, Remote Camera, Cover to Mute, Find My Phone and Presentation Control. Its seamlessly integrates with ASUS ZenUI, letting users enjoy enhanced versions of exclusive ASUS ZenUI apps such as What’s Next and Do It Later. Dell has showcased a range of end user computing products for Asia Pacific for both business and personal use. Executives from Dell and Intel launch the new range of computing products. From left: Ray Wah, Vice President of Dell’s Personal Computing Group; Ryaz Patel, Director, Asia Pacific Multinational Sales, Intel; Uday Marty, Managing Director, Intel South East Asia; and Peter Marrs, Executive Director & General Manager, End User Computing, Dell APJ. Photo taken with Nokia Lumia 1020. The new range of products include new Venue tablets, printers, monitors, as well as desktops, notebooks and Ultrabooks from the XPS, Latitude, Inspiron, Precision series.